We use computer in our daily life for various purposes like education, entertainment, online shopping as well as various routine tasks. Different version of Windows provide its own interface. Windows rather provide its yellow folder color by default. We can not customize Windows features like changing folder color etc like MAC OS. Windows also have more great features to manage data easily. We use command prompt to do many task. For more info you can read command prompt tricks. Some time We get bored with its old folder color. While some time we need to change the folder color for different purposes like store data in an organized way. Some Mac user use this feature to store their data in an organized way. They can easily recognize their data by viewing folder color. 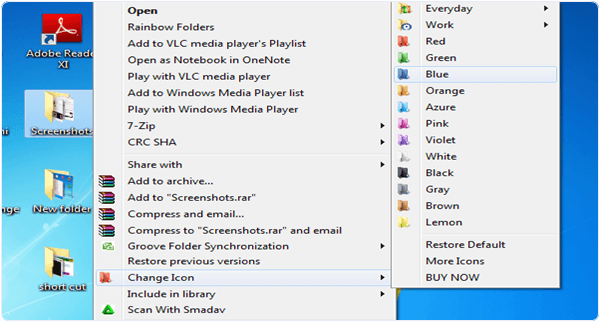 By using our awesome trick to change folder color in windows we can easily experience like mac users do. 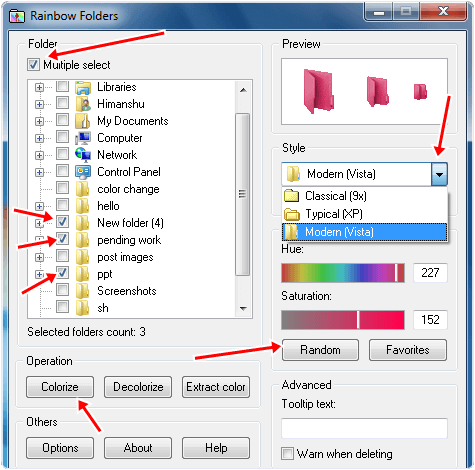 In this article we are going to explain about how to change the folder color in Windows. By using colored folder we do not need to waste our time in searching data. We can easily assign a color to a particular category of data. 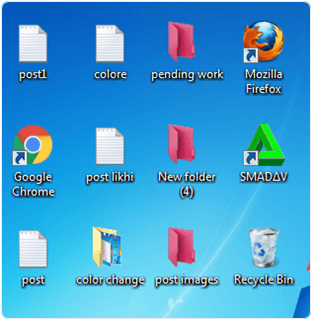 How To Change Folder Color In Windows. ? Method 1:- By Using Rainbow Folders Software. Method 2:- By Using Folderico Tool. Steps To Change Folder Color In Windows. 1. 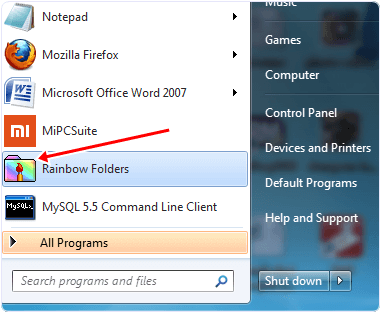 First of all Download and install the rainbow folder by click the button below. 2. Now click on the start menu and launch the application by double clicking it. 3. It provide a simple and compact interface. It also provide the multiple select option to change the color of multiple folders simultaneously. 4. It also provide three folder style including modern, typical and classic. we can easily select one of them. 5. Now select the color of folder and change its hue and saturation to make multiple shades. 6. We can also use Random button to choose a random color for our folders. 7. Now press the colorize button to change the color of our folders. 8. We can also get the default color of folders by selecting folders and pressing decolorize button. Folderico is one the best utility tool to change the Windows OS default color. It is a light weight software which is easy to use. It is compatible with all versions of Windows including XP. After installation it become hide and only provide right click option to change the folder color. If you only wants to change the folder color then its free version is sufficient for you. First of all download and install the folderico tool by clicking the button below. 2. After installation this tool provide a right click option to change the folder color. 3. Right click on the folder whose color you want to change. 4. Now you see a change icon option then move mouse over this option you will see multiple color folder icon. 5. You can easily select them and after that our folder color is changed. 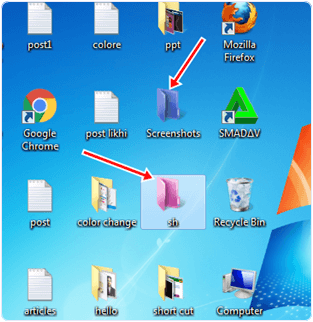 These are best possible method to change folder color in windows easily by using software. If you have any best idea to change windows folders color let us know.